They are the perfect No Bake treat and everyone loves this Chocolate Peppermint Balls Recipe and you will too. They’re easy to make and taste great. Watch the video now. We love finding super easy and delicious treats that our Community can make and this NO BAKE Chocolate Peppermint Balls tick the box on every single level. They are a true family favorite in every sense and they are so easy! This 15-minute treat is perfect or Peppermint Chocolate lovers. Pop in a bag, or paper plate holder for perfect packaging. To make this delicious treat couldn’t be easier and being no bake, it takes very little preparation time whatsoever. We have included a video tutorial that shows you how. Crush Chocolate Ripple biscuits and Crown mints. Add your cocoa and condensed milk to the mixture. Mix all your ingredients together and roll into balls. 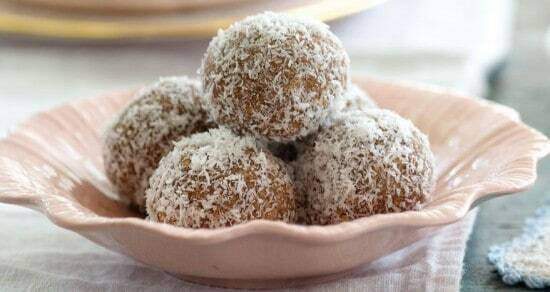 Finish by rolling and coating in coconut. Refrigerate for 2 hours or until set well. Enjoy!